The roads are clear, shut up and drive! Before the Inforcers, before Alone, before the Rake and Swift Killas there was the ruler of the highway. An orphan turned gangbanger is left for dead by the only family he knows. Years later he returns to his home town in Chicago and inacts bloody revenge on any and all who oppose him. 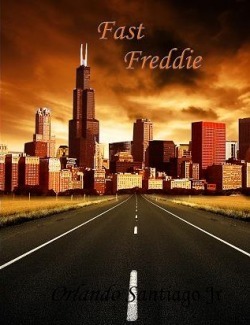 The third story ever written from Uniqe Realities' Orlando Santiago Jr will change the world of fiction with Fast Freddie. On the road of life, there is no speed limit.